Now more than ever, we're aware that what we do online can be tracked and handed over to people who have no business getting in our business. Which is now more than ever, it's also important to log on with a VPN. Get a two-year subscription to ZenMate Premium, winner of the Europas Award for Best Security/Privacy Startup, for $89.99 at Escapist Deals. 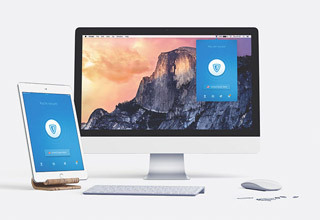 You'll save 58% off the regular price and get instant privacy whenever you're online. Browse the web securely - ZenMate will hide your IP address, encrypt your traffic, keep your passwords and banking info safe, and blocks malicious sites. And the browser extension comes in handy too, allowing you to access restricted sites and streaming services wherever you are. Keep your private activity and information private. Get a two-year subscription to ZenMate Premium for $89.99 at Escapist Deals.